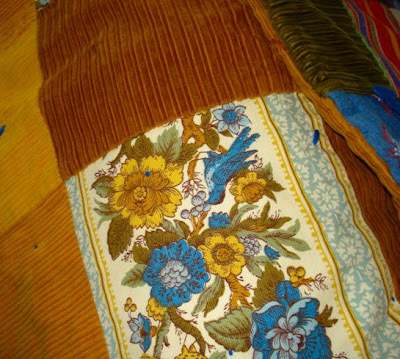 When I was a child...I'm guessing about 12...my mom helped me to make this quilt. But here is my dilemma. Inside this quilt, is my baby blanket. I think it has a picture of a sheep on it. I am considering opening up a seam and cutting the ties to get my baby blanket out and re-quilting the cover. Please tell me...Should I do it??? Come join us on Childhood Memories Friday. Yes, go get your baby blanket! 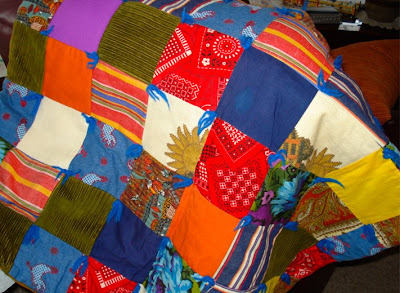 You created this awesome quilt to begin with - you can easily re-create it (restitch).